HONOLULU – The world’s largest living primate has been listed as critically endangered, making four of the six great ape species only one step away from extinction, according to a report released Sunday at the World Conservation Congress in Hawaii. 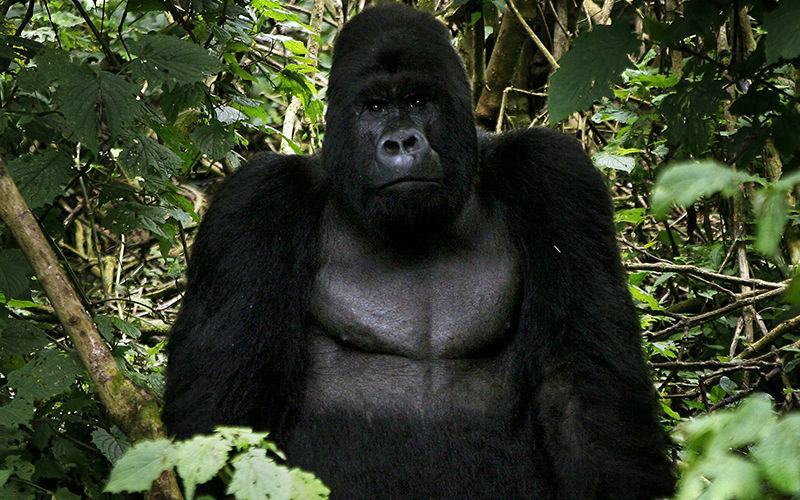 The International Union for the Conservation of Nature, or IUCN, cited illegal hunting in downgrading the status of the eastern gorilla on its Red List of Endangered Species. The list contains more than 80,000 species, and almost 24,000 of those are threatened with extinction. “To see the eastern gorilla – one of our closest cousins – slide toward extinction is truly distressing,” Inger Andersen, IUCN director general, said in a statement. The organization said an estimated 5,000 eastern gorillas remain in the wild, a decline of about 70 per cent over the past 20 years. Of all the great ape species – the eastern gorilla, western gorilla, Bornean orangutan, Sumatran orangutan, chimpanzee and bonobo – only the chimpanzee and bonobo are not considered critically endangered. But they are listed as endangered. For the gorillas of the Congo, where the majority of the population lives, conservation will be a struggle because of political instability, said primatologist Russell Mittermeier, executive vice chairman of the Conservation International environmental group and chairman of IUCN’s primates specialist group. “There are no simple solutions right now, other than a much greater investment in on-the-ground protection until the region stabilizes, at which time major ecotourism, as is happening in the neighbouring countries of Uganda and Rwanda, can take place,” Mittermeier said in an email to The Associated Press. In an interview, Catherine Novelli, U.S. undersecretary of state for economic growth, energy and the environment, called the gorilla numbers a man-made tragedy. The research by the Wildlife Conservation Society was accepted by the IUCN, which is made up of private and government entities and is hosting the World Conservation Congress. More than 9,000 delegates from over 180 countries are attending this week’s conference in Honolulu, including several heads of state. “Critical endangered status will raise the profile of this gorilla subspecies and bring attention to its plight. It has tended to be the neglected ape in Africa, despite being the largest ape in the world,” the study’s lead scientist, Andrew Plumptre, said in an email. The IUCN compiles its peer-reviewed Red List alongside partners such as universities and environmental groups within animals’ natural habitat. It is the most comprehensive analysis of endangered species and guides government policy around the world, said Cristian Samper, president and CEO of the Wildlife Conservation Society. Other animals on the list fared better than the apes, including the giant panda, which was previously on the endangered list. It is now listed as “vulnerable” after conservation efforts helped protect its habitat. Hunting and habitat destruction are taking a toll on animals and plants in variety of areas, the report said. In Hawaii, about 90 per cent of native plants are threatened with extinction because of invasive species like rats, pigs and non-native plants, the IUCN said. In Africa, the plains zebra population has declined by a quarter since 2002, according to the group’s statement.